Whether it is due to Instagram, or just the era of healthy living, we are not going to speculate. However, there is no doubt that experimental food has become much more commonplace over the last few years, and this means that trends are constantly changing. As the title of this post may indicate, today is all about showing what is big in 2018 right now. These trends aren’t just dominating kitchens around the country, but also the likes of Covent Garden restaurants which tend to catch onto the big food favourites relatively quickly. Several years ago, this would have never been considered as a trend. Now, gut-friendly food is all the rage and it’s for very good reason. This has been a real journey in the health industry. At first, probiotics came in the form of yogurts in supermarkets, with manufacturers keen to paint the idea of “good bacteria” entering our bodies. Now, it’s making its way into more dishes though. The likes of kimchi, miso and kefir are proving to be really popular in dishes now and this is something that doesn’t look to be changing anytime soon. Again, if we were to roll back the clock, one really wouldn’t mind where their food was coming from. The unwritten rule seemed to be that as long as it arrived in good timing on your plate, little else was needed. Now, cultures have changed. The growing trend is to consume “local food” – ideally food which has been produced in the same city. This has led to an increase in the likes of urban farming, which facilitates this, with some high-end restaurants even having their own hydroponic systems. Another big trend is the emergence of brunch. Less than a decade or so, and this didn’t really exist. Instead, basic meals came in the form of breakfast, lunch and dinner. Now, more and more restaurants are catering for a brunch menu, while home kitchens are also well and truly on top of the trend. Not only that, but brinner’ has also entered the scene. This might again be related to healthy eating habits, which tend to encourage eating smaller plates, yet more often. Nevertheless, traditional mealtimes seem to be changing. Again, this is all related to the healthy living era that everybody seems to be basking in right now. Brain health is something that is particularly relevant, with nootropics designed to “feed” the brain and ultimately allow it to function better. 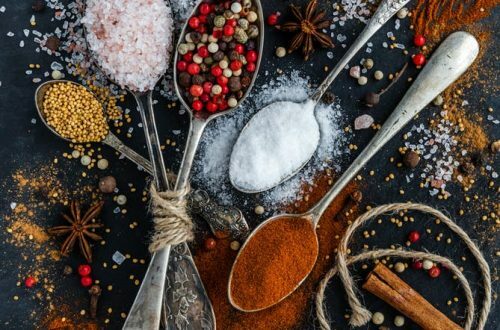 Natural nootropics contain everything ranging from turmeric to eggs – so the space for restaurants to bring up nootropics dishes really is significant at the moment. When you throw other nootropic foods into the mix, such as salmon and jicama, the variety can be immense and this means that these dishes also contain plenty of flavour, as well as the health benefits.